Lamborghinis are a rare breed. Not only do most of its cars scream ‘LOOK AT ME’ in terms of design and preferred colour, but it is also one of the last true auto makers that have stuck to its guns and do the supercar formula the good old way. In fact, Lamborghini invented the supercar as we know it with the oh-so-beautiful Miura. And then it was followed up with the shock and awe Countach, then the Diablo and then the Murcielago. Now all of these were great to look at and in most cases were on every teenagers bedroom wall as the ‘this is what I want when I grow up’ poster car. And then came along the Aventador. 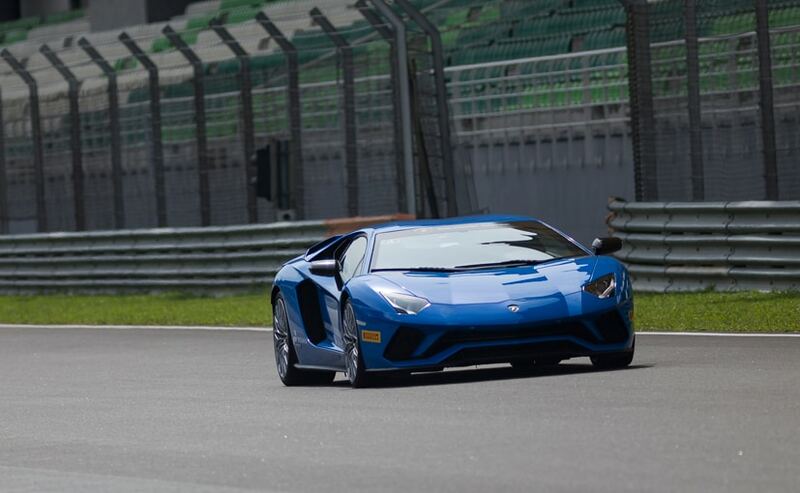 Launched in 2011, the Aventador replaced the rather awesome Murcielago SV. Now, allow us to drone on for a bit longer. In every Lamborghini V12’s life cycle, there comes along a standard car and then an evolution to the SV or Super Veloce model. Similarly, in 2015, Lamborghini launched the Aventador SV to mark the end of the car’s life cycle – or so we though. 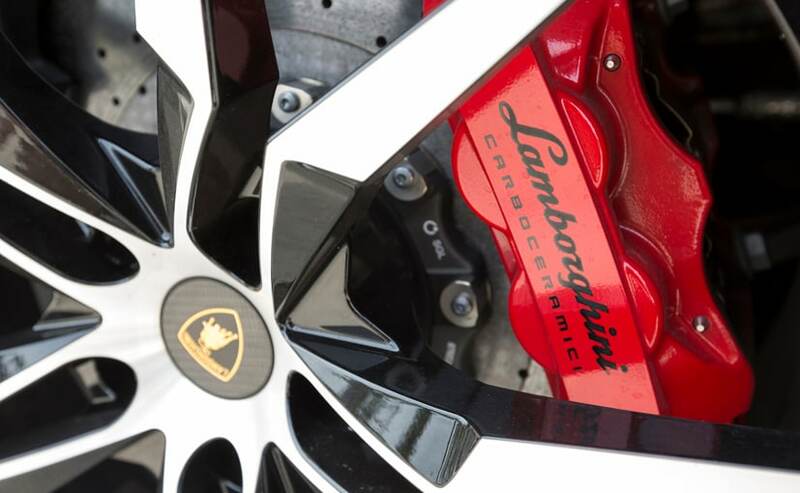 The SV is the most prestigious badge in the Lambo range but this time, the Italian supercar maker has decided not to end the Aventador’s life cycle with the SV but to continue it further with a mid life mechanical upgrade and call it the new Aventador S. And just to be clear, yes, the Aventador S is the only Aventador on sale right now and yes, it does replace the older standard car and the SV before it. Alright, now that we are done with nomenclature, lets talk about the actual car itself. To the casual eye, there isn’t really much of a difference between the older car and the new Aventador S. But, if your powers of observation are any good, or if you have even the slightest inclination towards automobiles, there are quite a few differences indeed! Lets start with the front bumper. The new S gets a brand new and multi layered bumper that apart from having functional vents is also much prettier. In fact, the easiest way of recognising the new Aventador is this new ‘fanged’ front bumper. The bumper also has to vents that channel air onto the front disc brakes to cool them down and on to the side of the car. The side skirt itself is brand new and now gets an exposed carbon fibre bottom along with a much larger side vent. The older car’s black side vent does get replaced by this cleaner design. The other big change is the new fixed vent that helps induct cooling air into the engine bay. 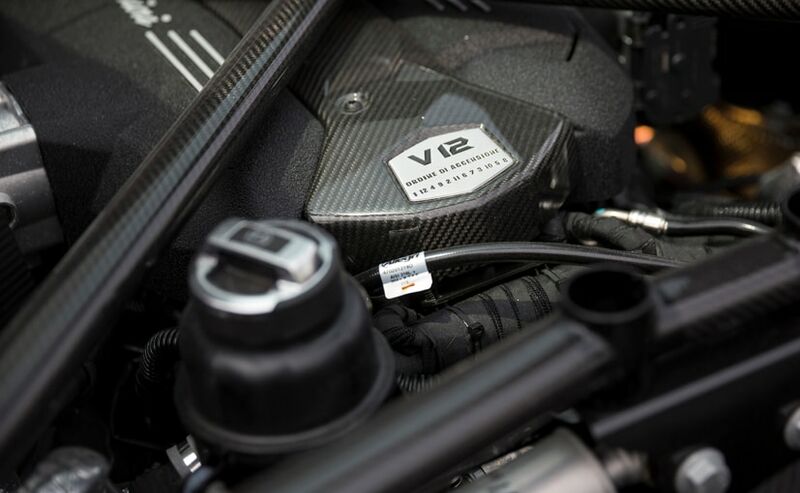 The older Aventador had the very cool opening vents that automatically opened in hotter ambient temperatures and hotter engine operating temperatures but the new car gets permanently open ones that can be spec’d in naked carbon fibre. And then we move to the rear of the car. The glass engine cover still shows off that beautiful engine and the electronic spoiler is still the same. The rear bumper and diffuser has been completely redone though. The new rear bumper gets a lot more openings for more cooling and a more aggressive diffuser that increases downforce. 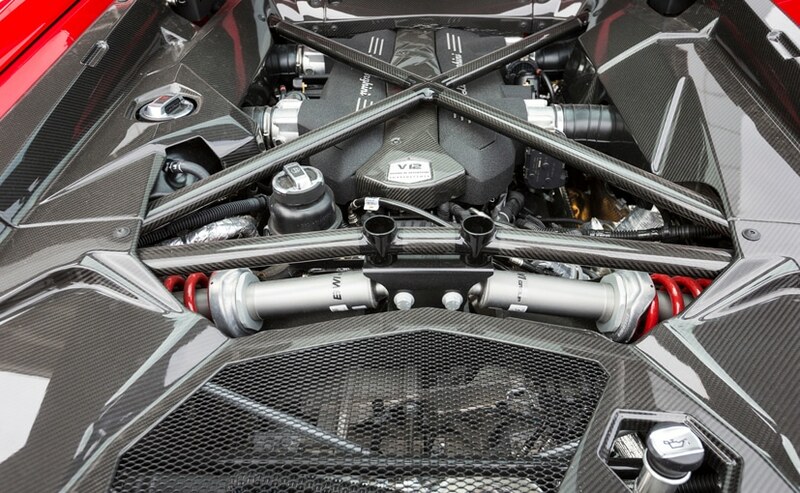 The older Aventador’s central mounted quad exhaust setup too has been replaced by a new titanium exhaust setup. The new exhaust opening is a triple tip that is enclosed in a large six-sided heat shield. In my opinion, this looks MUCH cooler! The interior stays about the same. Pop open the signature doors and the carbon back sports seats invites you in. The whole car is of course really low and one has to slither yourself into place – especially if like me you aren’t exactly as fit as a racing driver. The dashboard cocoons you like a fighter jet and the high set central console now houses the new drive mode selector, which we will talk about later. The new interior also gets the new digital cluster in place of the older one that has customisable displays for the different driving modes. 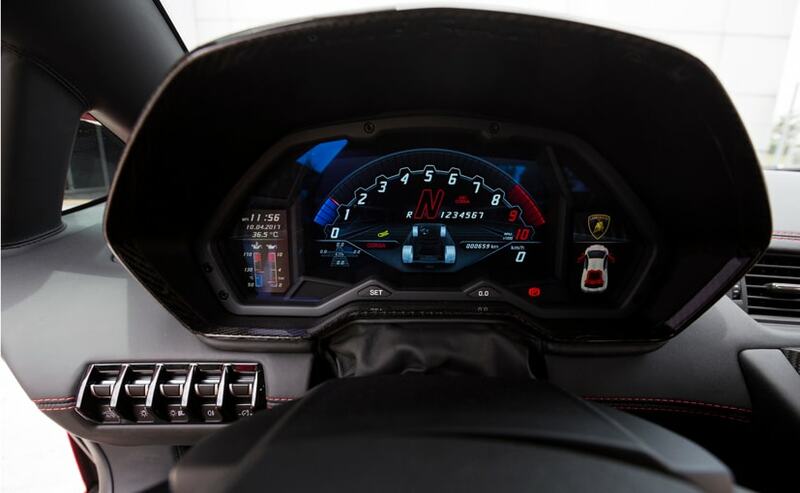 The screen also displays the navigation guidance and the reversing camera display, which is very handy considering how difficult it can get to park the Aventador. The big new changes though are mechanical. The new Aventador S is badged LP740-4. Now the 4 here is the important figure as it keeps popping up again and again in several different places. 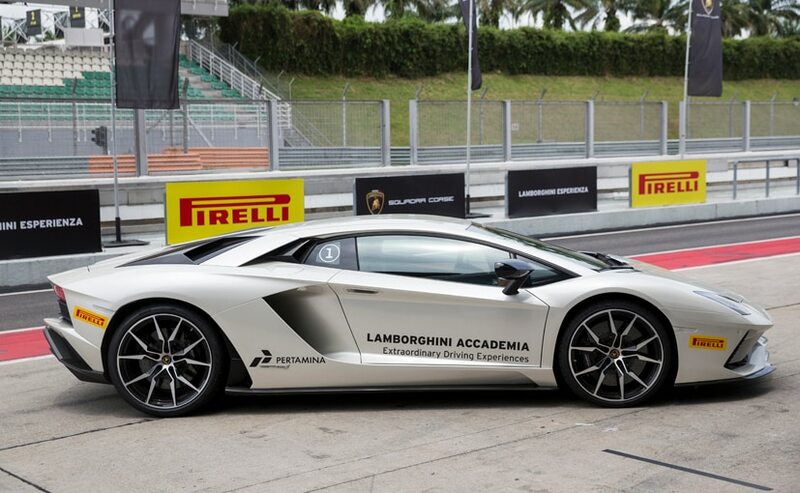 For starters, the Aventador, as always is 4-wheel-drive, or to be exact, all-wheel-drive. The new Aventador also gets four driving modes – Strada (road), Sport(pretty much self explanatory), Corsa (track) and then the new mode, Ego. 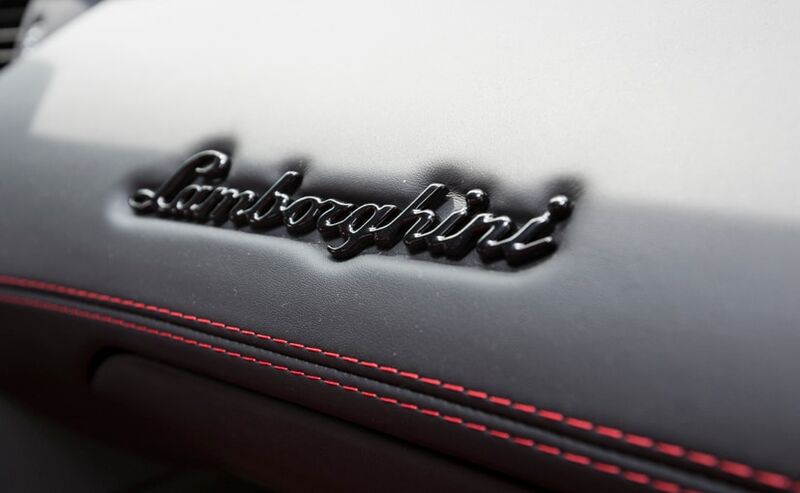 Only an automotive manufacturer like Lamborghini can dare to name their driving mode – EGO! Is it cool? Hell yes! What Ego mode essentially lets you do is adjust the settings of the Aventador to your personal preference. Is this new technology? Of course not, but the fact that they call it Ego is beyond epic. 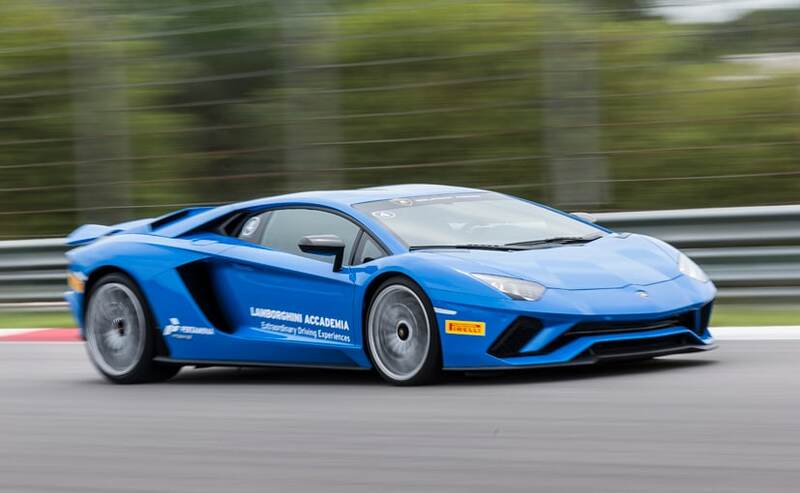 The Aventador also gets active pushrod suspension on all four wheels which has been thoroughly update with new damping rates and components to make it easier to drive in the normal modes and stiffer on the track. And it is actually a lot more comfortable than I ever remember the older one being. 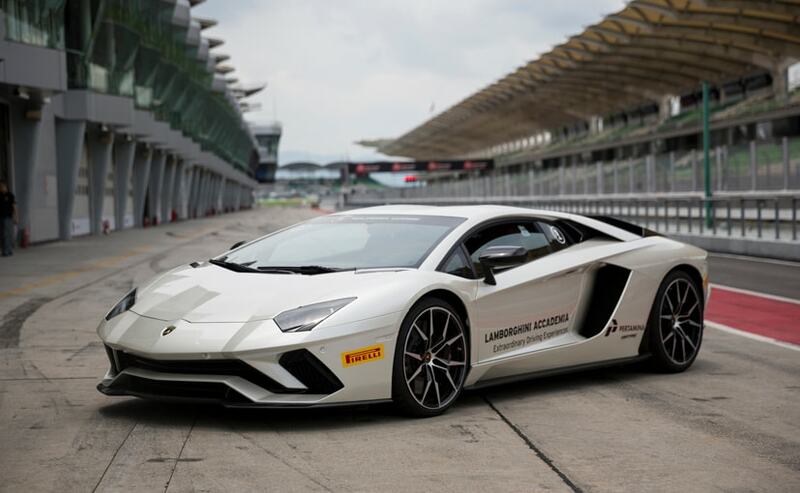 Driving around the paddock area of the Sepang international circuit in Malaysia, we did come across several small bumps and gutters, which would have normally been back breakers in the older Aventador but with the new suspension, it did just fine. And this means that when you do want to drive the Aventador S over all the bad roads and bumps and paver blocks of the country, it wont end up shattering your spine into a million pieces anymore. The most significant change in the Aventador S as compared to the previous generation is the addition of four-wheel-steering. Now we recently drove the Mercedes-AMG GT C Roadster with its four wheel steering too and it did feel quite a bit better than the older cars that did not have this system but it is really in the Aventador that you feel how HUGE a difference four wheel steering can actually make. The older car was a truck to drive at lower speeds and felt as huge as it actually is. The S though, with the four wheel steering feels like a Huracan. At slower speeds, the rear wheels move in the opposite direction as the front ones to make the turning radius a lot smaller. This makes it easier to park, easier to drive in traffic and easier to navigate in more urban areas. And then when you get faster, the rear wheels then move in the same direction as the front ones do giving the car a lot ore stability and quicker turn in speeds too. The difference this makes to the Aventador is hugely noticeable. It is not just a gimmick. And although the rear wheels only move three degrees, that little angular direction is more than enough to make the Aventador drive a lot lot better than before. And then we get to the 740 bit in the LP740-4 nomenclature that the new Aventador S carries. The 740 is for 740PS or as we here at Car And Bike know it, 730 bhp. This means that even though it has less horsepower than the halo SV that it kind of replaces, it gets 40 more horsepower than the standard car. Even though 40 more horsepower may not seem to be a big deal in a car that already has close to 700 bhp, the difference is actually noticeable. But the big change is the fact that the Aventador has become a little more refined to drive than it was. Yes, the single clutch gearbox with still throw you back into your seat with the viciousness of a person punching you in the groin area but it is not as brutal as it used to be. 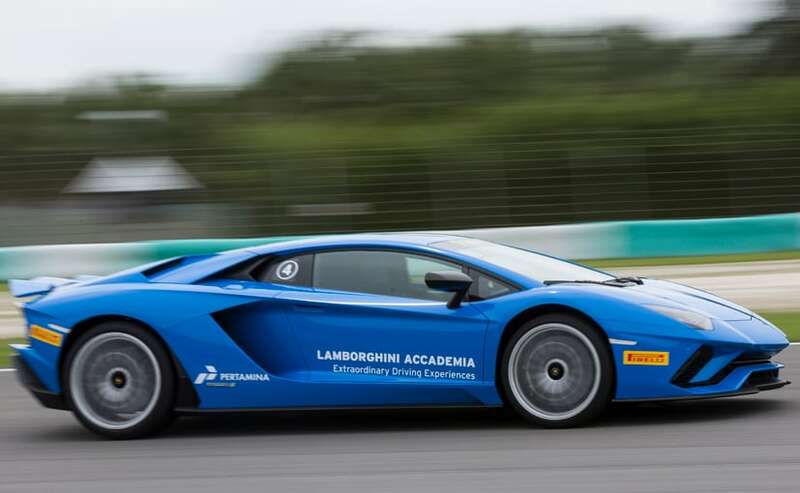 As expected, Lamborghini have refused to go with the dual clutch gearbox as they say this amount of power and torque just cant be put through the commercially available gearboxes that they currently have. Throttle response of course is instant and never ending and the sound it makes is just something that cannot be quantified through words here. Imagine a mega storm hovering right over your head with Thor sitting right in the centre of it showing off his ‘thunder’ abilities to the rest of the Avengers. That is how the Aventador sounds. Or maybe even better. And then there are the new brakes, carbon ceramic of course. If you think the way the Aventador S accelerates is worthy of praise, the way it comes to a halt is the kind of event that redefines physics. We hit about 270 kmph on the back straight at the Sepang circuit and boy am I glad that I had those brakes to rely on! 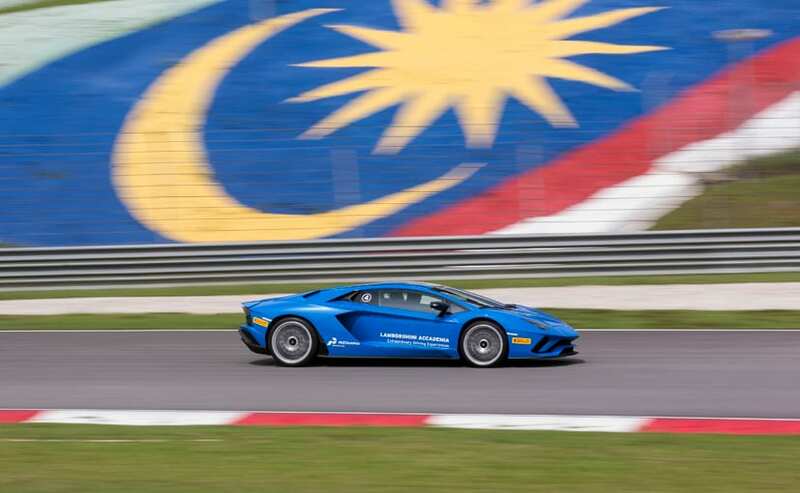 After lap after lap of making the Aventador S do my bidding, from full throttle bursts of acceleration to face tearing braking that resulted in no fade, the car seemed to settle in to normal mode and cruise back to the pits with no drama whatsoever. I rarely swoon over the way a car is or drive but the new Aventador S is genuinely that good a car. The old one was great but it did have its issues and now with the new one Lamborghini has really got the formula spot on. I have spent hours and hours on the Lamborghini configurator after I drove this car and I even came up with what could be my dream spec. But alas, for us mere mortals, the Aventador S is quite expensive with its Rs 5.01 Crore (ex-showroom, Delhi) price tag. Maybe I’ll just get a 1:18 scale model than and hope to win the lottery someday. Because if you really do have the money to consider a Rs 5 Crore car, the new Aventador S has to be at the very top of your list!